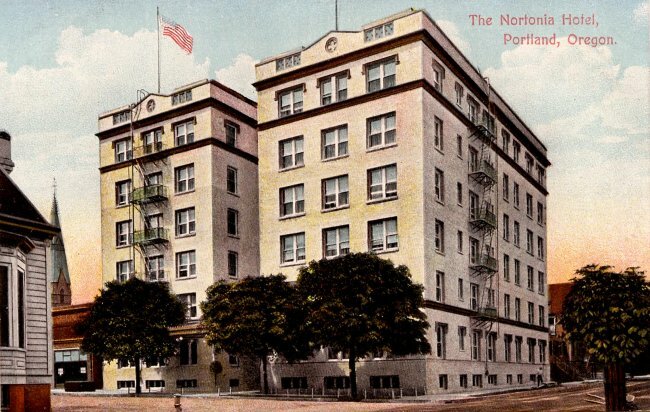 The Nortonia Hotel, which opened in 1908, is now known as the Mark Spencer, a very comfortable hotel in the Theatre District. 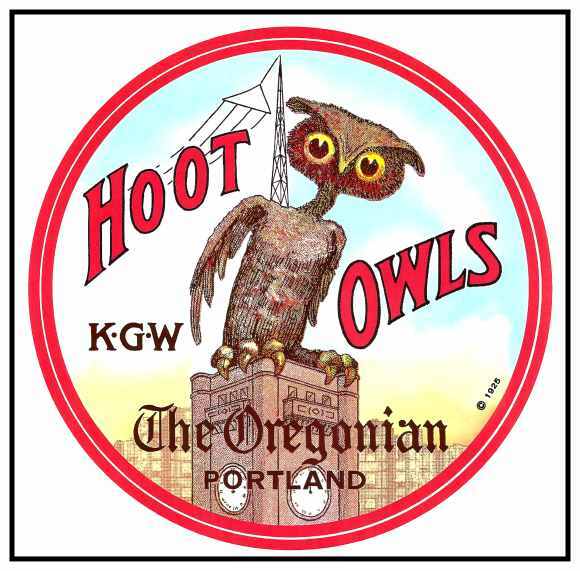 Even in the early days, it was Portland’s “home-away-from-home” for many of the artists who performed in theatric productions. 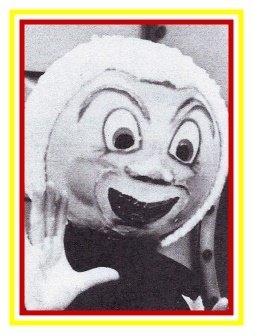 Modern-day theatric artists continue to call the Mark Spencer “home” while they’re in Portland. 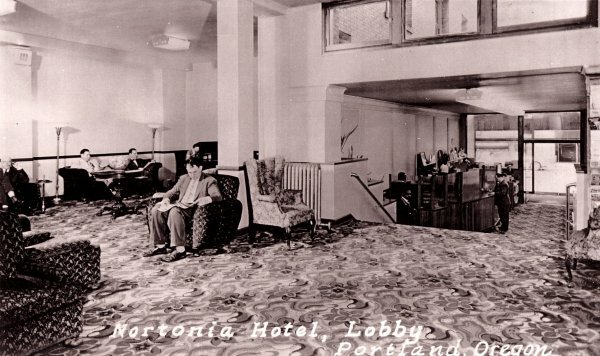 This view shows the original entrance to the Mark Spencer/Nortonia. 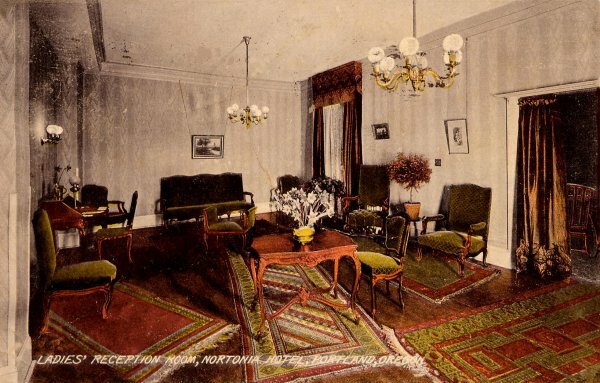 The upper doorway to the left led into the lobby. 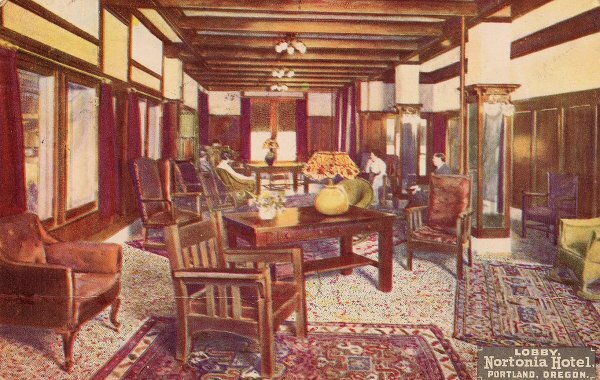 The lower doorway to the right led to the Grill Room. 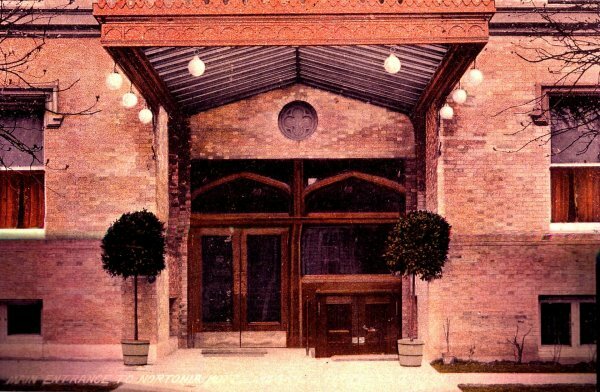 Some years later, the doors were removed, the lobby was moved and the area is now an open-air courtyard. 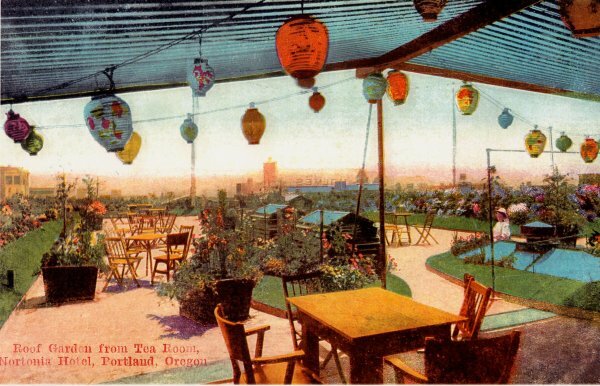 This view from 1912 shows an interior perspective of the Tea Room on the Roof Garden. 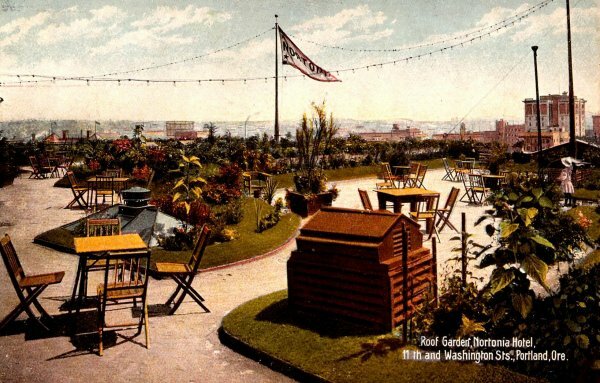 The gold box covers up the original caption, which says Nortonia Roof Garden. 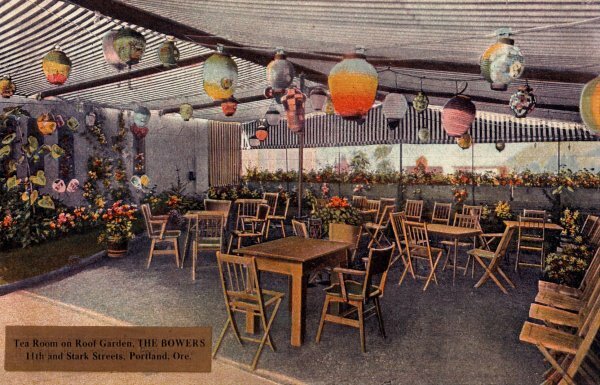 For several years, the Nortonia was called the Bowers. 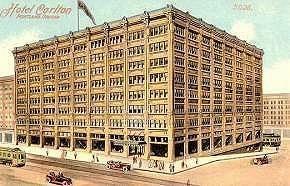 In 1911, H.C. Bowers became the President and Manager. 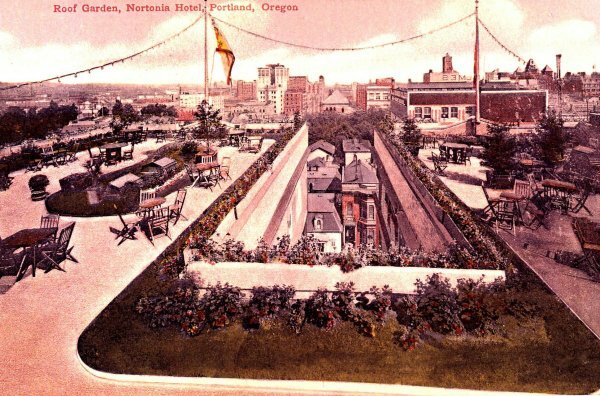 He had managed the Portland Hotel for 17 years. 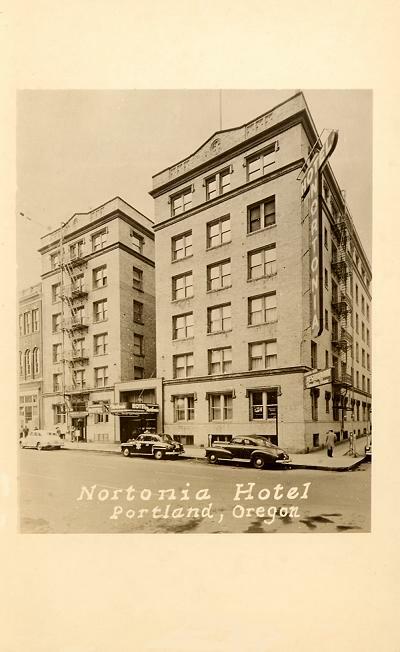 By 1914, Bowers moved on to the Multnomah Hotel and the name was changed back to Nortonia. 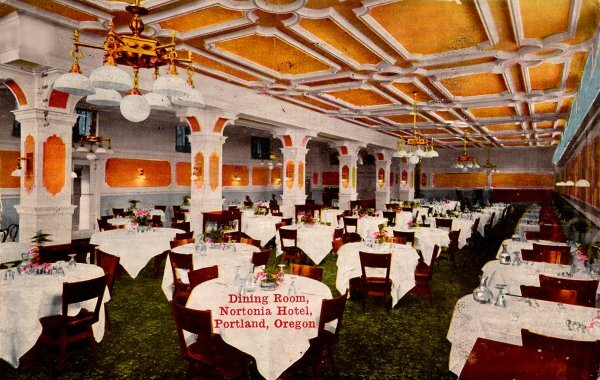 In 1966, the Hotel was remodeled and the name was changed to Mark Spencer.